Alma means 'soul' in Spanish. See first image for more details. 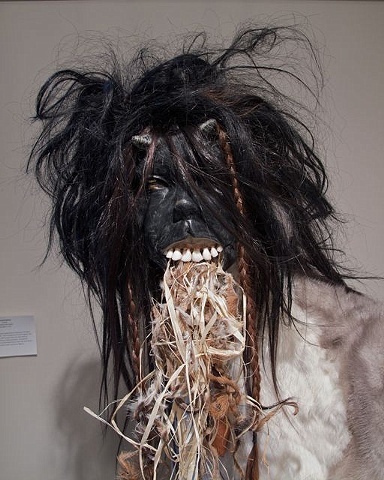 Human hair, Persian lamb, beaver fur, rabbit fur, mink, raffia, goat skin, acrylic paint, gold leaf, beeswax, deer hoof, moose teeth, taxidermy epoxy, found mannequin.